Suomen Akatemia sponsored a lecture for the English stream students about intercultural communication. 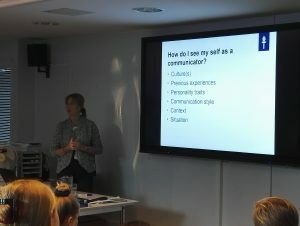 Lotta Kokkonen from the University of Jyväskylä gave an inspiring and thought-provoking lecture filled with many hands-on exercises for the students. What is culture and how do we define it? And does culture define our behaviour or rather do we redefine culture?